Leading the way in safety innovation, the luxury car marque launches something to protect those outside its cars…an invisible spray which reflects headlights in the dark. Volvo has always taken safety seriously. They invented the three-point seat belt in 1959 and then opened up the patent so that any car manufacturer could use it. 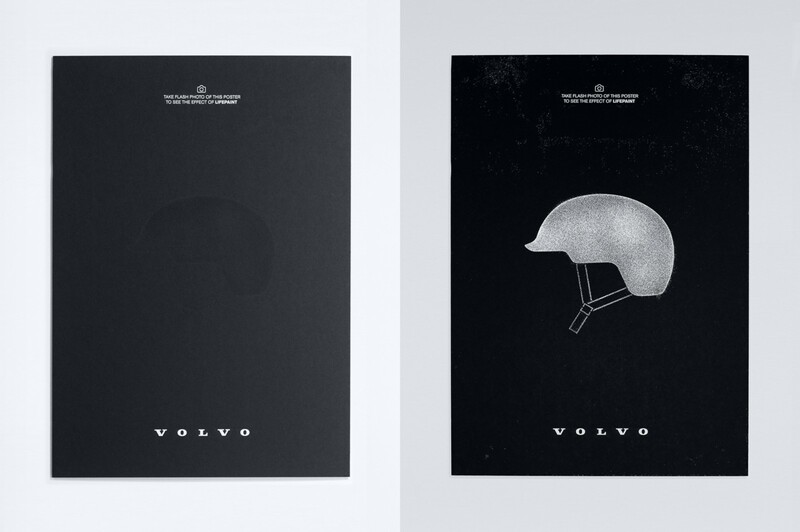 Now they’re giving away a product to take Volvo safety beyond its cars. LifePaint is a unique reflective safety spray aimed at increasing the visibility and safety of cyclists, and other vulnerable road users. Invisible by daylight, it glows brightly in the glare of car headlights, making the invisible, visible at night. Though designed for safer cycling, LifePaint can be applied to any fabric — clothes, shoes, pushchairs, children’s backpacks — even dog leads and collars. It is transparent, washes off and will not affect the colour or surface of your chosen material, lasting for approximately one week after application. Available from today, LifePaint will be trialed in six London and Kent-based cycle shops, including Peloton in Spitalfields, where cyclists can get one of 2000 cans being given away. This is the first phase. If LifePaint proves popular, the project will expand nationally and internationally. The best way to survive a crash, is not to crash. The LifePaint concept was developed by creative agency Grey London, in collaboration with Swedish startup Albedo100 and is one of a series of projects to highlight the key product innovations of the all-new Volvo XC90. 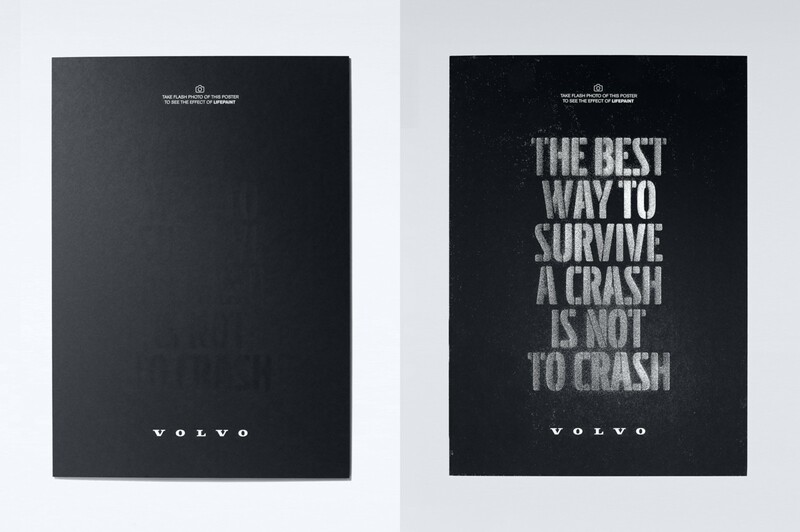 The initiative marks another step by Volvo to promote safety for those both inside and outside its cars. It builds on the development of Intellisafe, a state-of-the-art Volvo safety system which integrates some of the most cutting-edge safety technologies to Volvo cars. The technology uses a combination of radar sensors and cameras to identify other vehicles, pedestrians and cyclists and automatically brake if the driver fails to take the necessary action. This works in conjunction with Volvo’s Active Bending Headlights, which adjust left to right according to the steering input to help see round corners better. Intellisafe’s unique pedestrian and cyclist detection system, enhanced to work in darkness on the all-new Volvo XC90 to be introduced to the UK in June this year, was the inspiration for the LifePaint project. Together, these innovations contribute towards Volvo’s Vision 2020 — the concept that that no one should be killed or seriously injured in a new Volvo by 2020. LifePaint is the physical embodiment of Intellisafe. To promote the product and showcase its properties, Grey London has created an online film featuring interviews with a wide range of cyclists, from commuters, to couriers to accident survivors. Introducing LifePaint with a dramatic demonstration of the product in action, the agency spent three nights shooting in London, testing the spray and working out how to rig lights to mirror the effects of headlights. The agency also built a site volvolifepaint.com to house the project and direct people to retail outlets, stream Instagram images from the first customers via #volvolifepaint, and link to the advanced safety technology on Volvo.com. Grey London has also been testing new print technology, using LifePaint to create ‘invisible’ black posters that only reveal themselves in the flash of a smartphone. 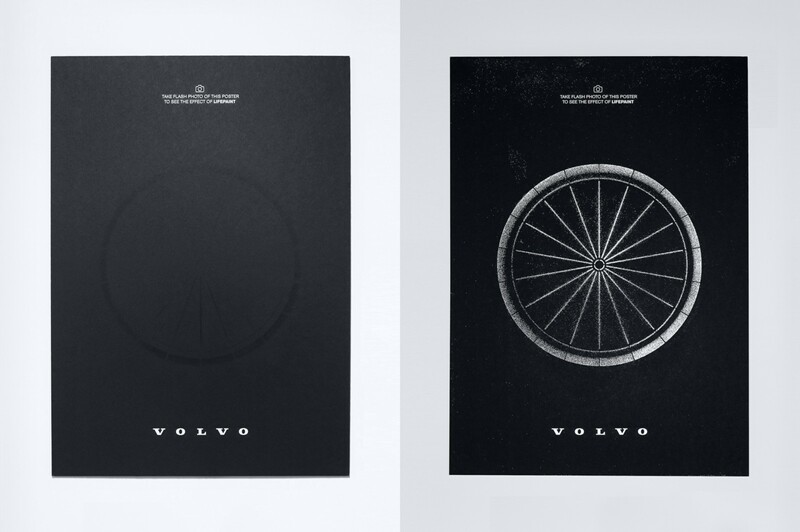 Nick Connor, Managing Director at Volvo Car UK, said: “Every year more than 19,000 cyclists are injured on the UK’s roads. At Volvo, we believe that the best way to survive a crash is not to crash, and are committed to making the roads a safer place by reducing the number of accidents.